This post may contain affiliate links. I earn a commission for purchases made via affiliate links in this post. Spring has finally arrived! What better time to share some pretty digital invitations for Easter gatherings? We all know I love a nice paper invite, but I’m also a big fan of planet Earth and doing our part to conserve whenever possible. There are definitely times when it just makes sense to go digital. For me, Easter is one of those times. It’s generally a smaller guest list or a standing invitation that doesn’t require too much info. Digital invites make it so, so easy to just pop your details in and hit “send”. Done and done. If you don’t normally send Easter invites, but want to step up your game this year, some of these can even be sent for free. Keep reading! 1 . Paperless Post – Citrus Orchard Is there anything that I don’t love by Rifle Paper? Nope, not a single thing. This is a premium design, but Paperless Post does have some free invites as well. 2 . 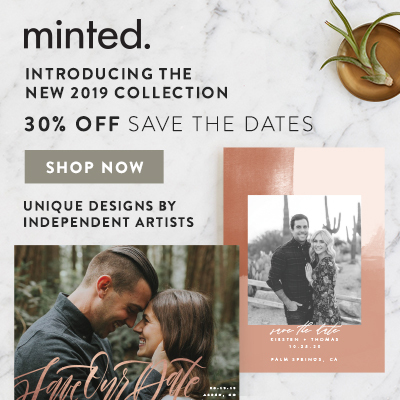 Minted – FREE Vintage Easter Brunch Did you know that Minted has an entire collection of free digital invites? They have invitations for tons of different events. All for FREE. This one by Mere Paper is so playful and unique. 3 . Greenvelope – Soft Florals A soft color palette of blues and greens by Stacey Meacham is a fresh take on the usual spring pastels. 4 . Paperless Post – Buffalo Check Bunny Fun fact about me: I am a sucker for all things buffalo check and/or gingham. And all things Sugar Paper, actually. 5 . Greenvelope – Elegant Florals The floral print on this card by Olive + Me is offered in several colors and they are all equally beautiful. 6 . Minted – FREE Easter Bouquet The handlettering and the florals on this card by Jen Wick are perfection! Any of these would be perfect for an Easter gathering, but which is your fave?